Kids Yoga at 432 Yoga in Rowville - moving bodies, expanding minds! A fun, interactive way for kids to move their bodies and expand their minds! Contact us via email hello@432yoga.com.au for mid-term opportunities. We are dedicated to providing your little ones essential skills to achieve healthy habits from a young age. Mindfulness, creative yoga sequences and breathing exercises to teach your young ones it’s important to relax. Sally is a kind hearted mother of 2 little yogi’s; she is inspiring, supportive – and most of all fun! Sally has practiced yoga for over 15 years and has been a kids, pre and post natal yoga teacher for 9 years. 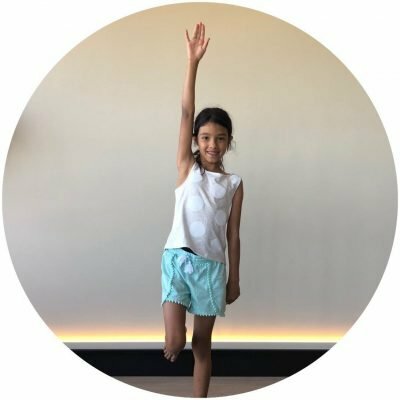 Her passion is to offer all kids an opportunity to be themselves; learn about their bodies and to develop skills so they can be both confident and calm. Sally’s capacity to connect to adults and children alike – mean your children will love her, as much as we all do! Class numbers will be capped at 12 / Please organise payment prior to their first class / When booking, please create an account for your child (not for you) / For the benefit of your child/children and to ensure Sally maintains their attention and concentration, parents/guardians are kindly requested to leave the studio for the duration of the class; there will be an opportunity to watch at the completion of the Term.